Before sunrise on the trail to Cathedral Lake, a rocky path leads up a steady climb to the lake and onto Electric Pass, topping out at around 13,500'. 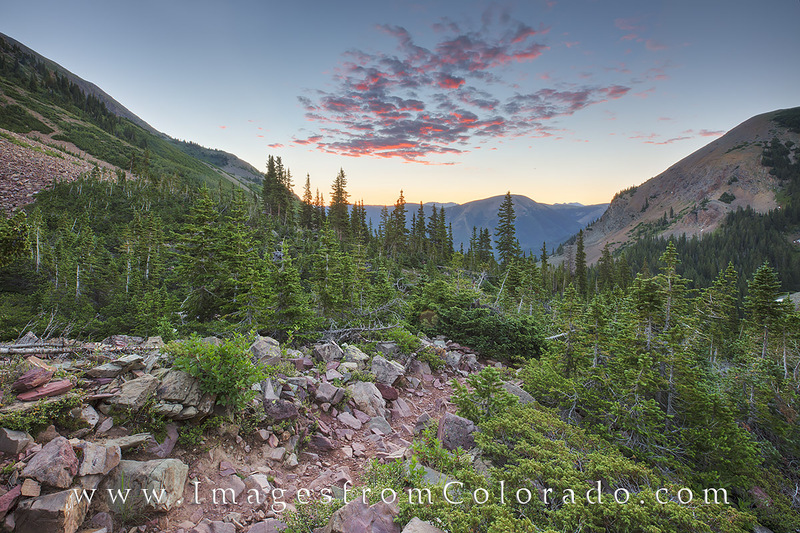 Here, I turned around to shoot the fleeting colors of morning before continuing up the the trail to enjoy a beautiful morning with views of the majestic Maroon Bells and Elk Range. While this hike was a bit of a 10 mile round trip grunt, the payoff was worth the sweat. Photo © copyright by Rob Greebon.